NuGet Gallery | Packages matching Tags:"CommandLine"
150 packages returned for Tags:"CommandLine"
Command Line Parser for .NET Core written in .NET Standard. Configuration is done through a option model class using attributes or fluent API can be used to configure the properties of the class. This library allows to add commands with their own set of options as well. Command line configuration provider implementation for Microsoft.Extensions.Configuration. Terse syntax C# command line parser for .NET. For FSharp support see CommandLineParser.FSharp. 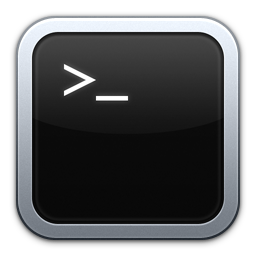 The Command Line Parser Library offers to CLR applications a clean and concise API for manipulating command line arguments and related tasks. CommandLine Parser Library lets you easily define strongly typed command line arguments, allows automatic parsing of command line arguments and mapping the values to properties of your objects. Cauldron.Consoles is a Cauldron.Core based parameter parser which supports grouping of parameters in execution groups. It is also supports localization and has a nice parameter table :) Breaking changes in 3.1.x - See https://github.com/Capgemini/Cauldron for more information. NClap is a .NET library for parsing command-line arguments and building interactive command shells. It's driven by a declarative attribute syntax, and easy to extend. A simple, strongly typed .NET C# command line parser library using a fluent easy to use interface. A helper class with console arguments parsing, log initialization, configuration file loading. Uses NLog for logging.